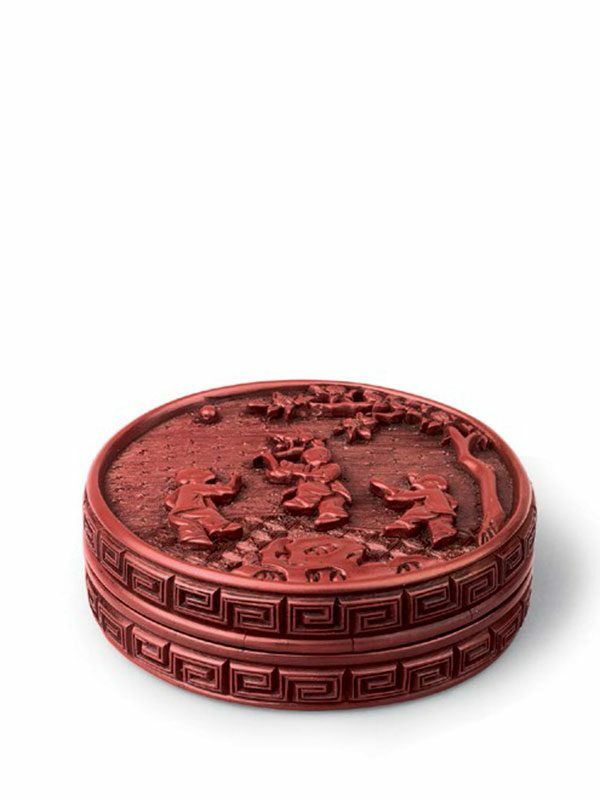 A lacquer box of circular form with straight sides. 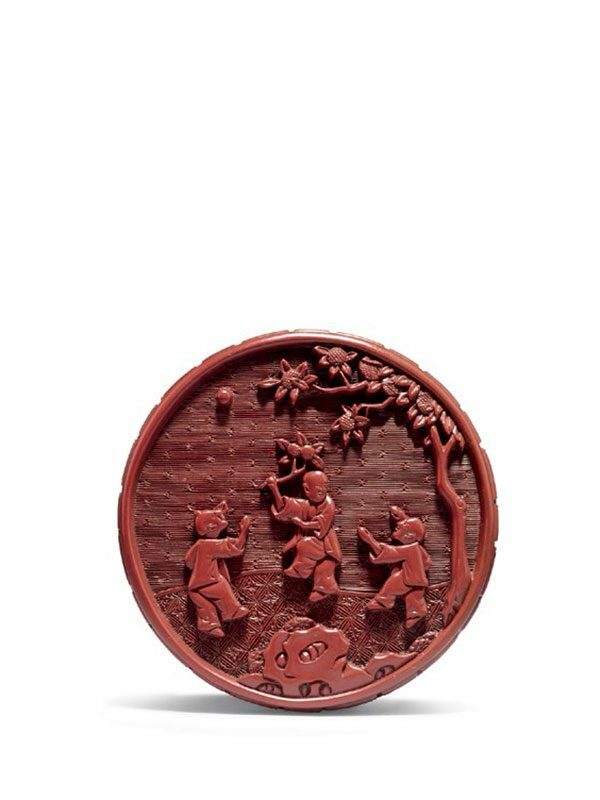 The flat top is carved through a thick layer of cinnabar lacquer and depicts three boys at play at night in a garden, surrounded by rocks, a fruiting lychee tree and a full moon in the sky. The boy in the centre carries a branch of lychee, whilst the other two are jumping playfully around him. A continuous key-fret pattern denotes the sky, while starburst diapers decorate the ground. A double linked key-fret band runs around the sides of the box and cover. The interior and the base are lacquered black. An old collector’s label is attached to the middle of the base.